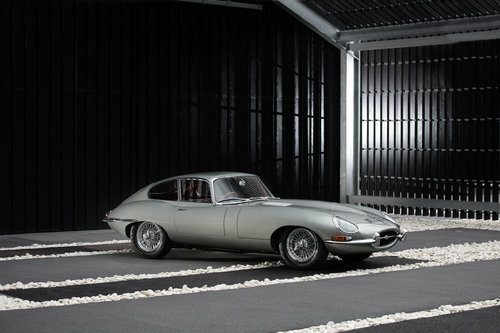 This Jaguar E-Type Series 1 “Matching Numbers” 3.8 Fixed Head Coupe we currently have is chassis number: 860078 finished in Opalescent Silver Grey with full Red leather interior. 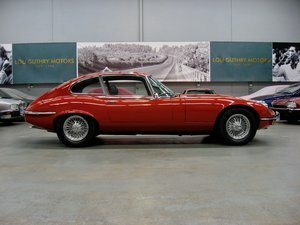 This very early example was originally distributed through Ashton Preston Garages, Preston, Lancashire on 18 December 1961 and registered as “RRN 5” to be their demonstrator on 1st January 1962. Having passed through several owners, 860078 was purchased by Barrie Tickle of Purley, Surrey in 1976 who then undertook a full nut and bolt restoration. Works carried out was a bare metal re-spray in Signal Red. Then a full mechanical overhaul commenced including; complete engine rebuild. Attention then passed to the running gear where everything was checked and overhauled as required, this included; Original Moss Gearbox, Axle, Braking system, Cooling system and a full re-wire. 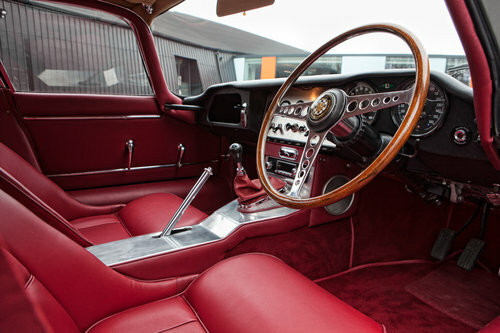 The interior underwent a total re-trim in Red leather. 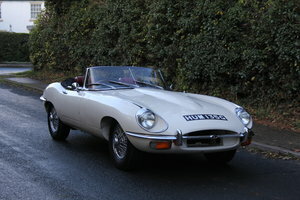 Barrie then continued to enjoy the car travelling to various shows and events until it had further cosmetic and mechanical re-fresh in the late 1990’s. 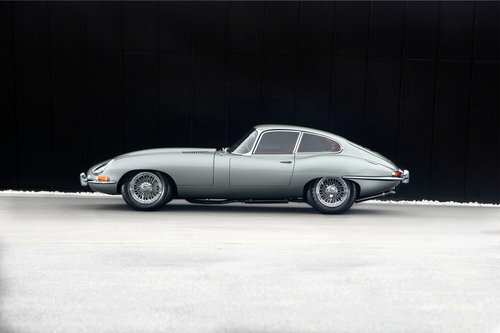 Barrie continued to enjoy 860078 spending whatever was necessary to keep the car to the highest possible standard and was often seen showing her at Jaguar Drivers Club Concours d’Elegance. 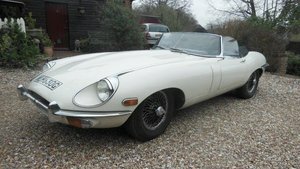 Barrie finally parted with her in 2015 when he part exchanged her against a pre-war classic car. 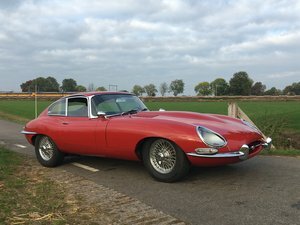 RRN5’s current owner, who had been searching for some time for a matching numbers early series 1 E-Type, subsequently purchased 860078 and has enjoyed the car ever since. 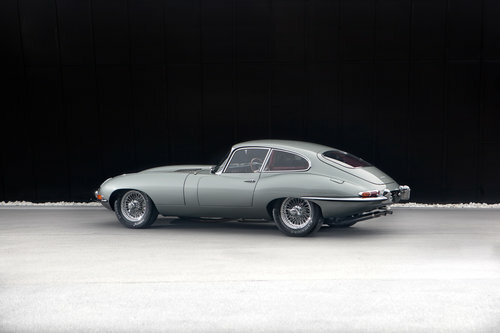 He decided the car would benefit from being returned to its original Opalescent Silver Grey. 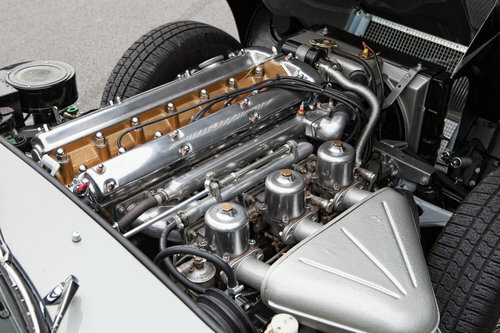 Whilst the car underwent a full bare metal re-spray the decision was made to re-build the engine and give it a full mechanical overhaul. 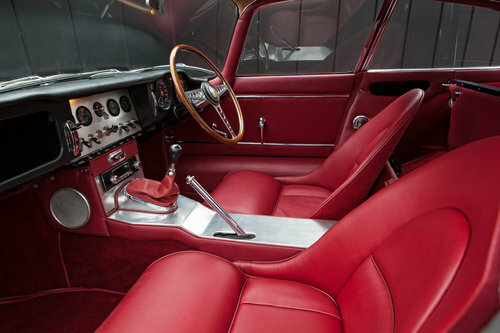 This thorough, recent restoration ensured the car is presented in pristine condition and has travelled less than 1,000 since the works were concluded. 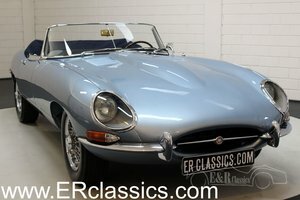 This immaculate example is supplied complete with current V5 registration document, current MOT and substantial history file including bills, Heritage Certificate, Workshop manual, Photographic history and other related materials. 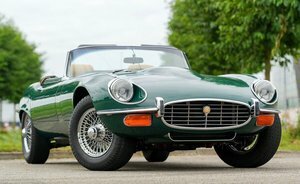 A truly a unique opportunity to own a stunning example of a true British classic, which will certainly appreciate further over time.